Silver Boxes: Pumpkin Spice Muffins - Delicious & Low Fat! It's cheaper in the long run & I like knowing what's going into my food & not having all the "extras" that I can't pronounce. Can I get a witness? 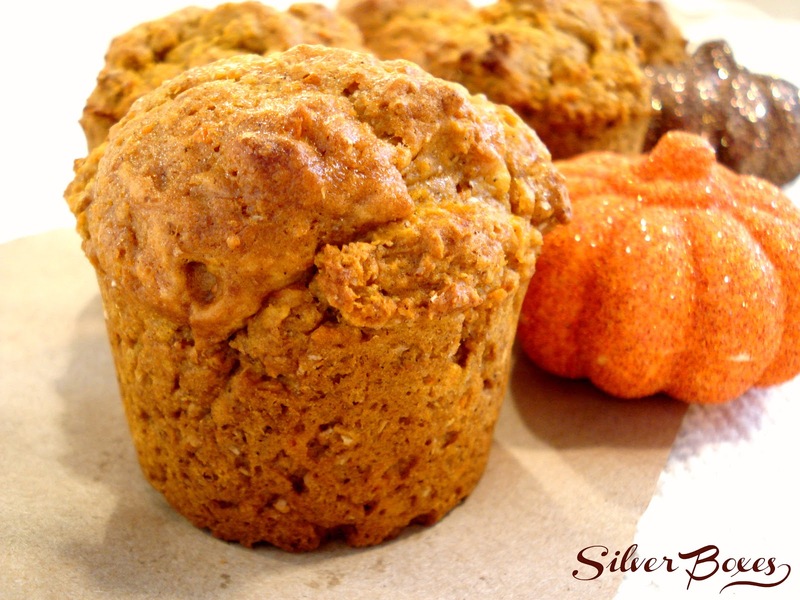 I have two favourite from-scratch pumpkin muffin recipes & this is one of them! It's low fat, has extra veggies snuck in, & is packed with yummy fall flavour! Preheat oven to 375º. Spray muffin tin with non-stick spray & set aside. In a large bowl, combine all dry ingredients - flour, wheat bran, baking powder, spices, & salt. Set aside. In a medium bowl, whisk together all remaining ingredients - pumpkin, carrots, buttermilk, honey, butter, egg, & vanilla. Add wet ingredients to flour mixture & stir just until moistened. Batter will be thick. Divide batter among 12 muffin cups. Bake for 20 minutes, or until a toothpick inserted in centre of muffin comes out clean. Remove muffins from pan & let cool on a wire rack. What are some of your favourite from-scratch baking recipes? I'd love to hear about them! 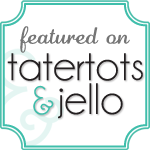 or follow along on Facebook, Pinterest, or Twitter. Healthy + delicious = awesome! Oh mercy. These look AMAZING!!! Pinning now and following you! Can't wait to see more from you! 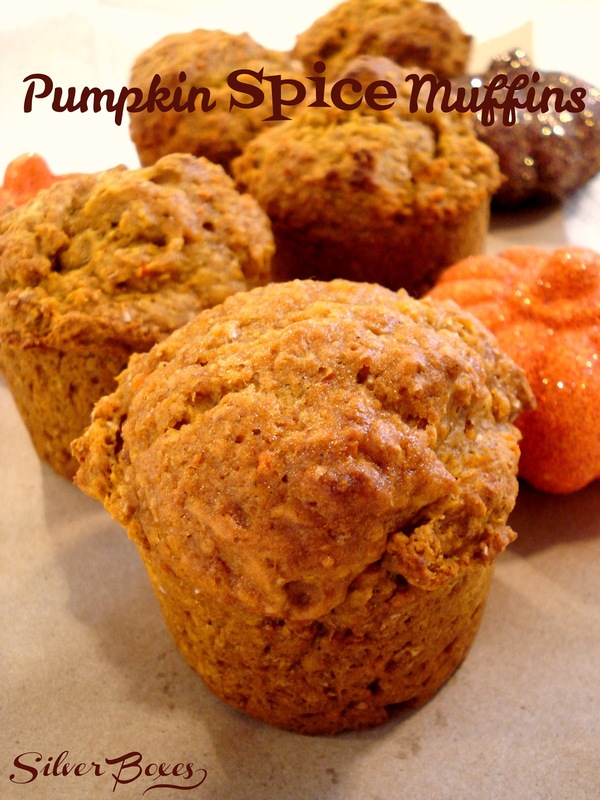 Yummy...I can't get enough pumpkin and I love that they are healthy! Have pinned these - how would you serve them? These look delish!!! I can't wait to try! New follower here from the link party! Would love for you to visit me and join my site as well!